Quickly preflight multiple PDF files using powerful preflight profiles and get detailed info on document fonts, color spaces, images, metadata and other attributes. 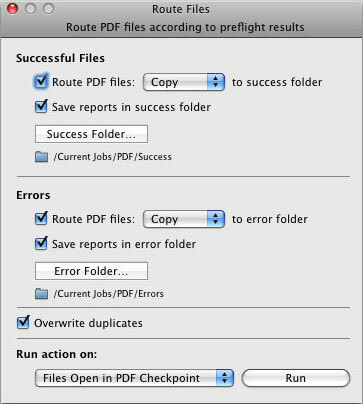 PDF Checkpoint will automatically move PDFs to success and error folders after preflighting. It can also save a preflight report for each file. Batch-export PDFs as TIFF, JPEG, PNG, GIF or BMP. 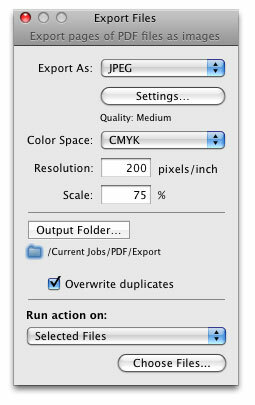 Specify image color, resolution and page scale. 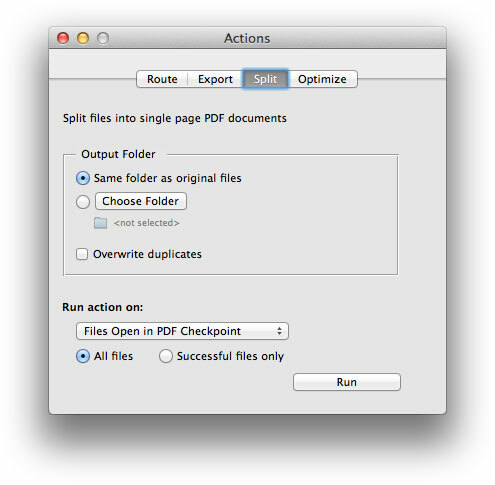 Automatically split multiple PDFs into single page documents. 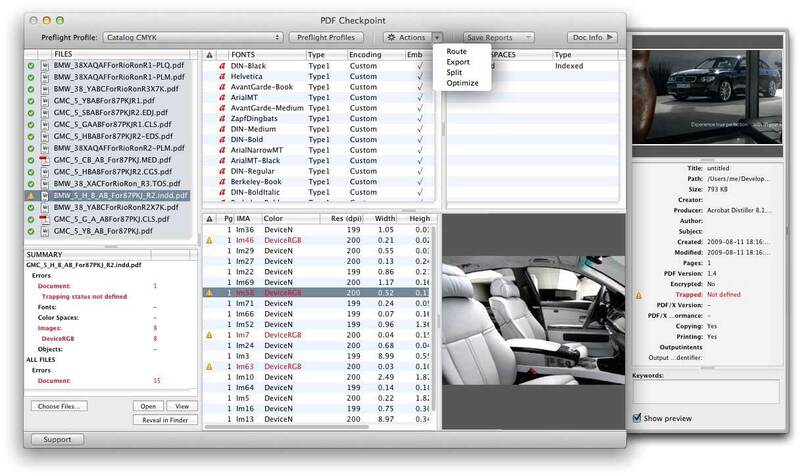 Process all files or only the ones that passed preflight successfully. 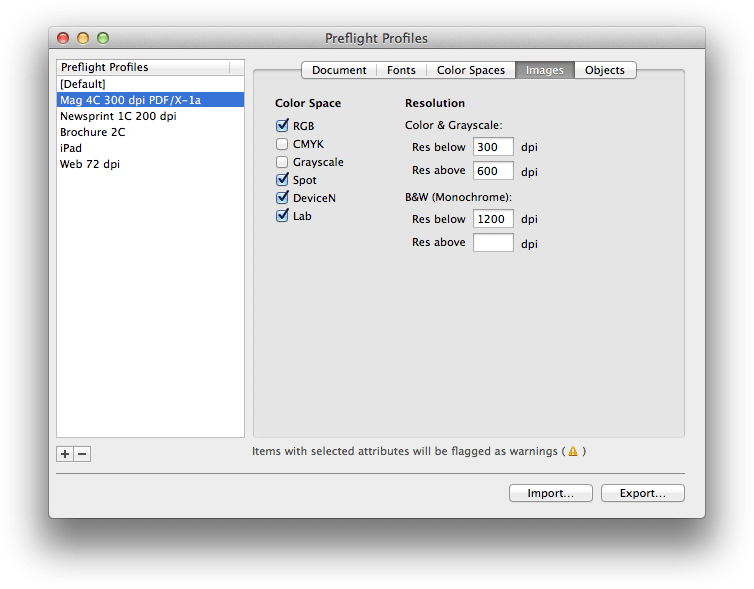 Convert PDF files to selected color profile (for example, convert RGB PDFs to CMYK). 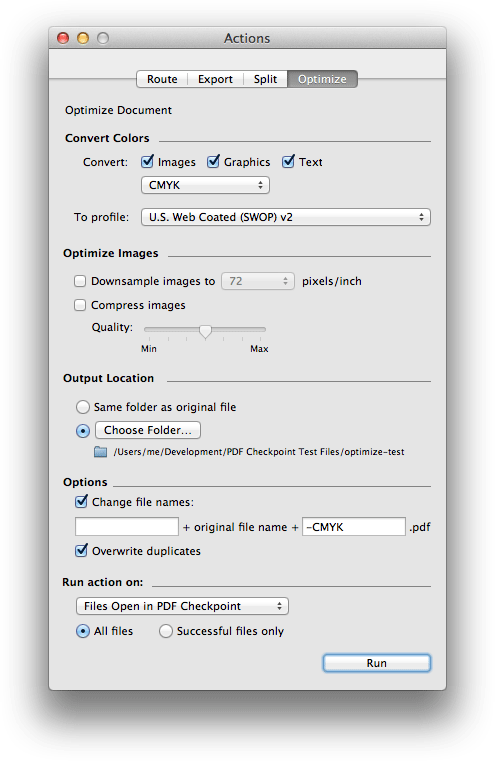 Compress images and downsample them to specific resolution to reduce PDF file size. Ditti.Ditto.Ditto. I need to know more about the guys offering this actions. Support us with this – ACTION!! !